Studies show that holidays, especially Valentine’s Day, lead to a huge spike in feelings of loneliness, unhappiness and depression. We are bombarded with advertisements and messages showing an idealized version of happiness, romance and love, and this creates feelings of inadequacy and loneliness in many people. Humans are social animals. Research shows that people with a stronger social support network are happier, recover more quickly from surgery and disease, and are at lower risk for depression. In our youth, we tend to find it much easier to make friends and start relationships, but as we get older that gets more difficult. Add to that the high rates of divorce and the increased severing of traditional social bonds by the new digital world and you have a recipe for disaster. We all know that people tend to represent an idealized version of themselves on social media, showing off their amazing lives, great holidays and general happiness. Knowing that this is a false representation of happiness doesn’t really help those of us who feel lonely or inadequate. If you are feeling lonely, scrolling through endless posts depicting other people’s happiness and the romantic dinners and great gifts they receive, will only make you feel worse. Make an appointment with a friend or a family member instead. A study conducted by researchers at the University of Essex divided a control group into two and sent one group on a walk in a forest, the other on a walk in a shopping centre. 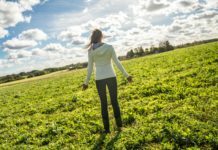 The nature walk showed an amazing reduction in depression scores of 71%, while 22% of those sent to the shopping mall reported feeling more depressed. This has become known as eco-therapy So go to the park, walk in the woods or visit a beach. Exercise has been proven to temporarily boost feel-good chemicals called endorphins. It may also have long-term benefits for people with depression. Regular exercise seems to encourage the brain to rewire itself in positive ways. Best of all, you can combine this with eco-therapy for a double-dose of happiness. While there is no magic diet that will ‘cure’ depression, the condition is often exacerbated by overeating and self-confidence issues tied to feeling overweight and thus unattractive. Many studies have proven that with meditation, you can boost both serotonin and norepinephrine to healthy “depression resistant” levels. In effect, meditation acts as a innoculation against the chemicals that cause depression. But it goes beyond that. A 2017 study published in the journal Psychiatry Research randomly placed 70 adult participants with generalized anxiety disorder into two groups. 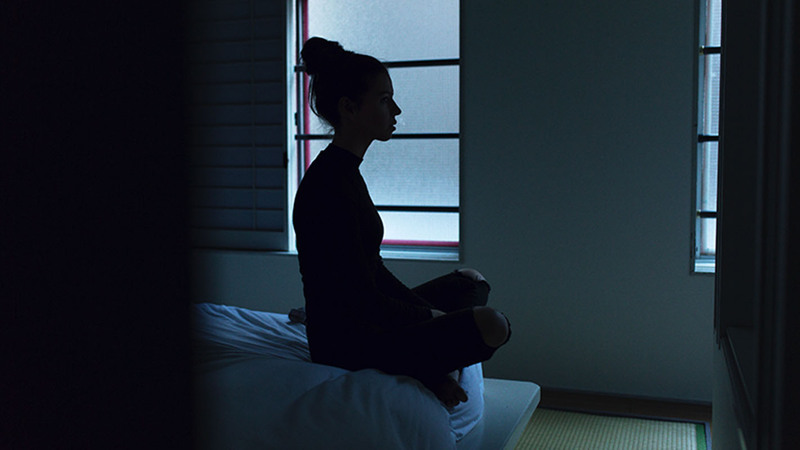 One group received mindfulness-based stress reduction (meditation) as a technique to cope. The other group did not receive any sort of meditation training. The scientists found that participants who meditated showed much lower levels of a specific biomarker for stress in the body. 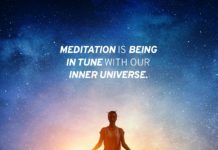 This suggests that meditation doesn’t just deal with the immediate effects of depression on the body, it might also be changing things on a cellular level. Synctuition will help you meditate easily and quickly at a time that suits you. Further than that, it has been proven to help with weight-loss, exercise, and give users better sleep. The 60 tracks all contain amazing 3D soundscapes, recorded in natural locations around the world, which mean you can get some eco-therapy without leaving your home. Give yourself a happiness boost today and shake those Valentine blues!